The stylish side-cut design with a small bill can be worn either forward or backward. 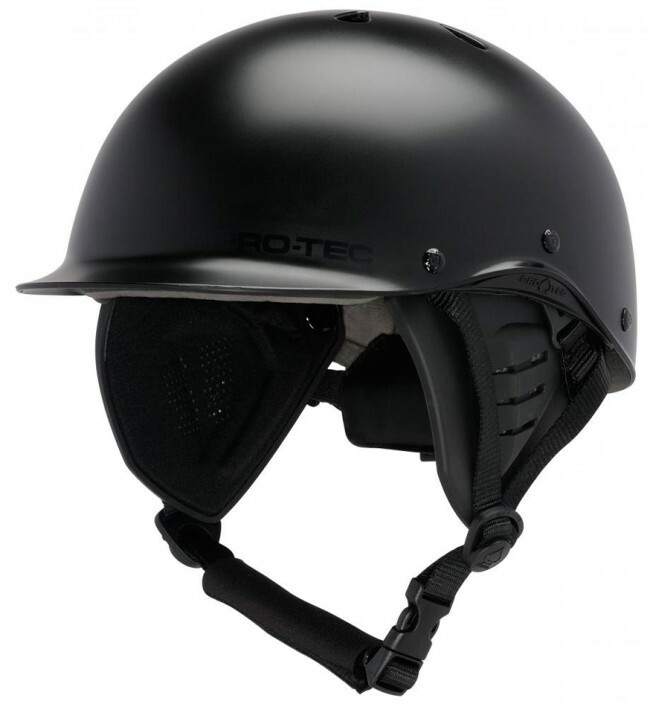 - Dual-density EVA liner and a rear adjustable fit system holds snug against the back of your head. - Removable ear flaps add warmth and protect your ears from damage and the shock of cold water. - 4-point adjustable chin strap holds the shell forward on your head.